From a wildlife photographers perspective, on paper, the Nikon D5 is a good camera. Actually, on paper, it’s an astonishing camera that’s striving to push the boundaries of speed and performance further than anything that’s come before it. Believe it or not though, as my review explains, other than a cursory glance at the specs on announcement, it wasn’t a camera I immediately wanted to rush out and buy. UPDATE: To see how the new Pro DX compares to the D5, read my D500 review. The reason is simple. Over the years I’ve owned several of the D’x’ series bodies. Starting with a D2x then D3, D3s and D4. Of them all, I found there was something special to me about the D3s. It was one of the best camera’s I’ve ever owned and I’ve always regretted selling it, even though it was to buy a D4. I skipped the D4s (although I did review it) because once the 36mp bodies were released I found them to suit my style of shooting more favourably. So much so that my current kit list comprises two D810 bodies and that kit contentment was confirmed, when I wasn’t compelled to want a D5 post-announcement. I made a few cursory glances online at various studio test scenes, graphs and comparisons to other camera’s that started to appear but ultimately, such tests and manufacturers specs aren’t a true indication of how a camera will suit your work. That can only be discovered by using it yourself in your typical working conditions, so despite not wanting to order, I was of course intrigued to use the D5 when the opportunity presented itself. So with all that in mind, my Nikon D5 review (or maybe more accurately, opinion), from a wildlife photography perspective, is devoid of major technical analysis, charts and direct sample comparisons to other camera’s. Instead it concentrates on my thoughts of the key features that interest me having spent some time with it in several of scenarios. In an ideal world I’d have shot with it for a couple months but in the time I did have, and the opportunity to use it within that time, I had mostly low light conditions which suited nicely, given the low light appeal of the D5’s sensor. The photos say it all. Nikon’s full size bodies are beautifully sculptured and the D5 is a visual masterpiece. If you’ve never experienced a D’x’ series camera, there is simply nothing like it and if you are familiar, it’s business as usual save for a few small tweaks. I’ve long hated using add-on grips with smaller bodies but they’re a necessary evil if you shoot with big and heavy lenses. Spending time with the D5 has really reminded me just how superior full size bodies are to their gripped counterparts. Don’t get me wrong, removable grips are certainly useful when you need to pack a bag or save hand luggage weight when jumping on a plane but, with my D810’s, they actually make them bigger and less ergonomic than a full sized body. This superior form factor brings with it a few little tweaks over the previous generation with my favourite being the Fn3 button bottom left of the D5’s rear. This can be set to quickly mark photos with star ratings. It’s only a simple thing but means it’s so much easier to find images later, either on camera in the various sized thumbnail playback modes or at the editing stage. I absolutely love it and find it frustrating picking up my D810 now and not have this ability, especially if there are a lot of similar photos from a sequence. Then of course we have the touchscreen. This was something I really liked about the D5500 so it’s great to see it transition to both the D5 and D500. The touchscreen is acceptably responsive and makes image viewing just that bit more interactive. You can pinch to zoom, double tap to zoom, swipe left and right to scroll through photos or, touch the info area below an image and run your finger left and right to scrub through a timeline of your shots really quickly. It’s another small addition that I find myself missing when I go back to my own camera’s. I’ve read several comments that the touchscreen should be allowed to work with the main menu, or at least have the option to do so be user selectable, but I think limiting it to image playback only is a smart move. With the menu’s having small text, I’m almost certain pressing the wrong thing would be easily done, especially for users with bigger hands, let alone your cheek or nose changing a setting, should you suddenly need to react to a situation and take a photo whilst navigating the menu’s. The stand out change to the form factor for me is the reposition of the ISO button, which now lives over by the shutter release. I must admit, like other button moves that have happened over the years such as focus/metering modes, I found this a little strange to get used to. I liked the ISO button where it was previously (on bottom rear of previous D’x’ series and generally on the left hand side of most other bodies) and with it now on the right, I have to press the ISO button with my index finger and use my middle finger to rotate the front command dial to turn Auto ISO on and off. It doesn’t quite feel natural yet but then I have years of muscle memory to try and shake off from the old positions two-handed operation. I understand why it moved as it means faster access to the ISO with your shooting hand and fully expect it will gradually work its way down through the range as and when updated models come out. However, if your second camera is an older model, be careful this move doesn’t catch you out initially when switching between different bodies on a shoot. Where the ISO button used to be there is now a new button to allow for quick selection of the D5’s higher frame rates, 10, 11, 12 and Mirror Lock up 14 FPS. The final new physical feature is a viewfinder eyepiece housing that unclips, however the eyepiece itself still unscrews from this removable housing. The glass behind the eyepiece now also has a fluoride coating, just like some of the latest lenses, meaning dirt shouldn’t stick to it quite so much. The D5 focusing system is f.a.s.t. and of the 153 autofocus points, 55 are selectable which makes moving between them quick and easy, whilst retaining an impressive coverage spread. As is to be expected, the continuous tracking is very accurate and does a good job at keeping up with fast moving subjects. During my time with the camera I led a workshop at the British Wildlife Centre and catching those speedy otters running towards the camera, not to mention the wild cats leaping through the air, was handled with ease by the new focus system, as was photographing the ever so fast Puffins in flight on Skomer Island (which is now covered in my D500 review). The far edge AF points being cross type allow for more reliable, albeit naturally slower, focus lock when using my 400mm with a TC-20EIII teleconverter – something that would normally only be achievable with the centre focus points unless the light was amazing. Speaking of the centre point, it’s phenomenal how low the light can actually be now and still have it lock onto subjects. In the New Forest I photographed some white ponies around sunset and, with my 400mm, was still able to lock focus on them a full half an hour after the sun had gone down and clouds had rolled in. The light levels were far too low for a worthwhile image at that point but the fact the camera would still allow me to shoot is quite exceptional. Although having the camera for longer would have allowed for further testing, during my brief time it was very apparent that it’s the best focusing system I’ve experienced from the Nikon range. Realistically, telling how much better it is over the older Multi-CAM 3500FX system in any given scenario would be tricky without two camera’s side by side with the same lenses, but it’s clear this new system builds on the old and instils an even higher level of confidence, allowing for better subject acquisition and retention along with continued reliable autofocus in lower contrast light than ever before. Now, there has been a bit of talk thrown about suggesting the D500 focuses faster than the D5. Personally, I believe that to be inaccurate after shooting with both. Each camera has the identical new Multi-CAM 20K focusing system meaning with the same lens, they will focus at the same speed ‘when the subject is within the focus points’. The D5 won’t be slower to focus but it won’t be able to track subjects to the edge of the frame like the D500 will. This means in certain situations the D500 will be able to track focus better, yes, but faster, no. Before D500 owners rejoice over D5 owners too much, it’s also worth keeping this in mind…whilst the 30% wider AF point coverage of the D5 has allowed for the sublime luxury of full width focus points on the D500, it comes at a small price. On the D5, those outer edge cross type AF points are perfectly placed for the rule of thirds but on the D500 they are pushed right up against the edge of the frame. This means on the D500 your rule of third focus points are not the more sensitive cross type, resulting in both camera’s actually having advantages and disadvantages. Three other new points of mention around the focus system are Live View Fine Tune, whereby you use Live View to obtain the desired focus, then hold down the Auto Focus mode select button and the Record button for several seconds to aromatically set focus fine tune for specific lenses. Often lenses don’t need this adjustment but now if they do, it’s easier to get right. Perfect! Well, almost. Keep in mind that there can still be variations at different focus distances once set, which is as it has always been, so for ‘mission critical’ work, always double check. There is now also the option of assigning different focus modes to vertical and horizontal orientation and finally, Auto Focus Tracking with Lock-On has a new additional setting which also lets you say how erratic the subject is. Curiously, now you cannot turn Lock-On, off, which is something you used to be able to do – this suggests the sensitivity within each setting may have changed with 1 being all but off. The D5 brings a new 20.8mp sensor to the table and I must admit, I was a little disappointed at first that it wasn’t 24mp but then the higher the megapixels the slower the camera and the more potential for noise. Having now worked on the RAW’s, the new sensor is a good trade between speed, file and image size, the latter coming in at 5568 x 3712 which is less than 500 pixels shorter on the long edge than a 24mp sensor, so still allows wildlife photographers some degree of cropping for those smaller subjects. Not quite the perceived handicap I initially suspected it would be over a larger 24mp sensor. With regards to the high ISO, the web is already littered with many comparisons to other camera’s with test scenes and arguments about upscaling this and downscaling that etc. I even read one such comment suggesting a technical lab test result suggested the maximum usable ISO might be as low as 2500, so why offer such high end ISO figures. This is why I ignore everything but my own experiences. It’s always important to remember the higher native ISO numbers are just a bi-product of getting the mid-ranges cleaner. Cleaner mid-ranges doesn’t just mean ability to shoot until it’s dark but also as a way of enabling faster shutter speeds or greater depth of field. How good are the mid-range ISO’s on the D5? Very. In my opinion ISO 8000 in the right light is essentially clean, such is the texture of the grain on offer. It reminded me a little of the D3 when it first appeared with its ground breaking ISO. A very overcast evening at ProHides little owl hide provided me with an excellent opportunity to play with the higher ISO ranges. I think there’s some impressive results in the upper-mid range there, especially between ISO 20,000 and 30,000 but, as you’d expect, when the light fades noise becomes more apparent at any given ISO. So can we really use ISO 102,400 for anything? From a wildlife photography perspective, the reality is that if you’re shooting at 1/200 at f2.8 to obtain that ISO value, the chances are very slim that it’s still worth shooting anyway because that light level will be incredibly flat but, just to really push the sensor, I took a photo of a fox cub that visits our garden at night, using those exact required settings, lit only by a low wattage LED security light off to the side of the frame. Compare that to a forced high ISO image taken in light that was much brighter than the requirement for 102,400. Quite a difference between them but certainly more than acceptable for web. On the subject of web sized images, there are all very well however to truly appreciate the performance of the D5 sensor and perform any sort of judgement, you need to see images in print. Viewing 100% crops on computer screens is not indicative of true output capabilities, especially when you consider printing images at typical sizes always reduces apparent noise and ISO levels by at least one stop. The D5’s target audience is photographers who’s work needs to be printed, either framed in client’s homes, magazines, newspapers or other media, so it’s an important test to make. A3 size at ISO 20,000 as well as 28,800 and 102,400. The first three of those images are all perfectly usable. With the larger ISO 2000 image essentially being entirely clean. On the smaller size, which is representative of a double page magazine spread, ISO 20,000 and 28,800 were completely usable and I don’t mean that in an ‘at a push’ way. I mean that in a ‘you can print these all day long with no concerns at all’ kind of way. To what size they’ll hold that quality I don’t know but given how they look at A3 I’d be willing to bet larger sizes would be handled very well. I wasn’t expecting too much from the ISO 102,400 shot and chose that particularly dim image as a worst case test. It certainly didn’t hold up as well as the others and although results will vary based on the image itself, maximum native ISO is always going to be hard pushed to perform well on any camera, printed or otherwise. So far so good but sadly it’s not all a bed or roses with the D5’s sensor. The high ISO performance does appear to come at the expense of low ISO dynamic range, which could be better, and that’s something that simply can’t be ignored. Push heavily under exposed shadows beyond a couple of stops and it’s clear the image doesn’t hold up as well as on other sensors. It’s important not to jump on the ‘it’s terrible and makes the camera unusable’ bandwagon though, because that’s simply not true. In general every day editing it’s no issue at all and shadows can be pushed, just not as far as some might like. I didn’t spend a huge amount of time testing this as forcing it to show a weakness rather than organically being hindered by it seemed counter intuitive. So although this isn’t conclusive, as every lighting scenario is different, the image below demonstrates a shot underexposed by around 3 stops to preserve the highlights on a bright contrasty afternoon, then pushed in Lightroom to even the exposure. This is beyond typical recovery, however you can see noise creeping into the background, so I’d say user error with exposure does not go unpunished, therefore more care must be taken. 1/3200, f2.8, ISO 180 then pushed almost 3 stops. The takeaway for me on the D5 sensor is this. Low ISO dynamic range in extreme circumstances could be better but where it is designed to shine, in high ISO’s, it does. I’ve always found the ceiling for most sensors is a stop or two short of the maximum native ISO and the D5 is no different, but given how high that native range is, that stop or two down still opens up a whole new world of low light shooting potential. When doing so however, it’s important to understand you can’t just start shooting away at those ISO’s and expect perfect images. It’s common sense that the higher we go, the more care needs to be taken with exposure due to dynamic range loss and also the need to stop the lens down a little, to claw back the sharpness in details that drop as the noise creeps in. Get it right though, and the D5 sensor will reward you for your efforts like no other when the light entering the camera is reduced. Everything about the Nikon D5 screams speed. From the focus to the frame rate to the way you can scrub through images on the rear LCD. With your eye to the viewfinder, a light press of the shutter release see’s the camera unleash its almost endless volley of image capturing prowess. A minimal viewfinder blackout time makes it easier to see the action and follow your subject but the speed does come at a small price. As with any camera in this range, the by-product of having that incredible frame rate and shutter life span comes at the cost of noise. As expected the D5 is as loud as any other camera at this level, with the ‘quiet’ mode delaying/increasing the length of the mirror and shutter action noise, rather than damping it significantly. There is a Mirror Lock-Up/Live View shooting mode which supports 14 frames a second and, because the mirror is lifted, means the only sound is the shutter – quieter, but not quiet. This was especially apparent alongside my ever faithful and supremely quiet D810 or even the D500 which, whilst louder than a D810 is quieter than the D5. With the latest XQD cards, the 200 shot buffer has been tested to show 154 uncompressed 14bit RAW files being taken in fifteen seconds, followed by only a further six seconds before the buffer is empty. So that’s 21 seconds to take and write to card 154 RAW files. That is a lot of data being written very quickly by the new Expeed 5 processor. In any situation where high speed shooting is required over a prolonged period, the D5 is going to give you a huge advantage. With wildlife, it essentially means you’ll almost never hit the buffer and in practice, I found it to instil a huge amount of confidence in capturing fast moving action. So is the inclusion of dual XQD, the memory card everyone loves to hate, a bad thing? When it was first introduced with the D4 series it was considered to be a strange move but now, because the D5 also comes in a compact flash only model, it’s not so much. With the memory card module replaceable it means those who use compact flash can continue to do so whilst seeing how the market responds to XQD in the long run. Originally only Sony made these cards but with Lexar on the case now too, hopefully we’ll see them become more mainstream. With the D500 also supporting XQD, I expect we’ll see it appear in a few more models in the future which will further reduce the risk of switching to this new format and the need to carry multiple types of memory cards. As a photographer, you’ll already have known before you read any reviews, if this is a camera aimed at you. 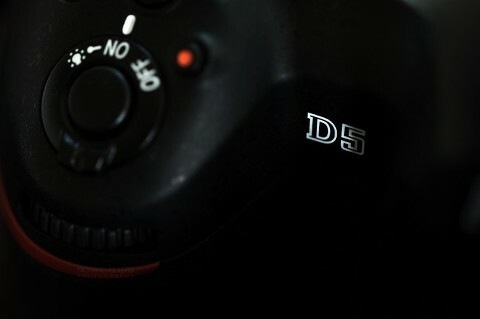 If it is, the D5 builds upon everything that was already great from previous generations of the flagship Nikon and makes the current sensor technology work harder than ever before, whilst complimenting it with refinements to every other aspect of the camera. Add all that up and it’s a compelling package and one that, once experienced first hand, will certainly impress. That was the case for me as despite being very content with my D810’s, I can’t deny the D5 has reignited my love of the flagship range and brought back the same feelings of desire that my D3s gave me. The low ISO dynamic range is certainly not a show stopper but equally shouldn’t be overlooked as it won’t suit everyone but, as a thoroughbred camera designed for speed and high ISO performance first and foremost, its delivery on those fronts is both phenomenal and unbeatable. Underneath the Nikon D5’s beautiful exterior lies a powerful beast, bursting with some of the greatest image capturing capabilities available and, whether you need it or not, you should definitely want it.